Jimmy Stewart recreates his role as George Bailey in the Lux Radio Theater version of “It’s a Wonderful Life,” Christmas Eve at 9 p.m., Christmas Eve, over 97.9 WHAV FM. In addition to programs listed below, WHAV plans hourly reports from NORAD on Santa Claus’ progress. Favorite carols, comedy by Stan Freberg and popular seasonal tunes air for 24-hours, except as indicated below. Quizmaster Ralph Edwards helps a recovering veteran reconnect with his hometown through the magic of radio. In this program from 1949, Mason Adams stars as a jaded ambulance driver in “Miracle for Christmas.” Adams, who for many years was the voice of Smucker’s preserves (“With a name like Smucker’s, it has to be good!”) and served as editor alongside Ed Asner in the television series “Lou Grant,” is paired with a mysterious intern on Christmas Eve. Lionel Barrymore plays Ebenezer Scrooge in this 1939 Mercury Theater on the Air production of Charles Dickens’ timeless story, “A Christmas Carol.” Radio listeners closely identified Barrymore with the grouchy character since he performed the role almost every Christmas between 1934 and 1953. 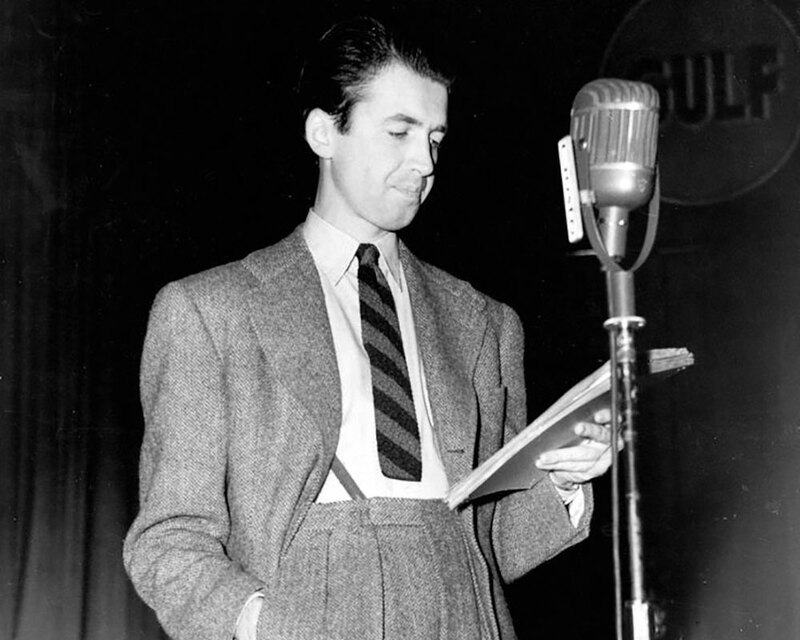 Jimmy Stewart returns as George Bailey in this radio adaptation of the 1948 movie. When Stewart regrets ever being born, his guardian angel grants his wish on Christmas Eve. Besides Stewart, others appearing are Donna Reed as Mary Hatch and Victor Moore as Clarence. Maureen O’Hara, John Payne and Edmund Gwenn, stars of the classic 20th Century Fox 1947 movie, return for this radio adaptation. In the story, Macy’s founder Rowland H. Macy insists a man named Kris Kringle (Gwenn) play Santa Claus in the store even as another store manager tries to have Kringle committed for believing he is the one and only Santa Claus. All programs are repeated at midnight.